How can anyone forget the dramatic video captured by a County Police dash-cam of a burning vehicle and heroic efforts by police officers and a volunteer firefighter to pull the man out. 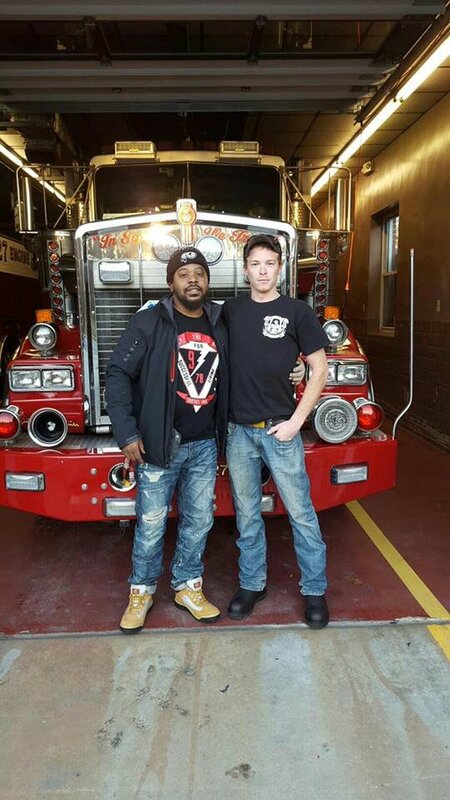 Despite serious burn injuries the man survived and took the time to give thanks to one of rescuers during the week of Thanksgiving. 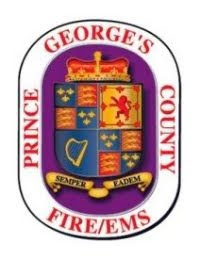 Prince George’s County Firefighters and County Police Officers teamed up to rescue the adult male from his burning vehicle at around 12:30 am, Friday, September 4. Both public safety agencies were alerted to respond to the 2700 block of Lakewood Street in Suitland for a personal injury accident with subsequent reports of a vehicle occupant trapped in a car that was now on fire. County Police Officers arrived just moments before Fire/EMS units to confirm an adult male was trapped in a burning car. A police officer used his extended baton to open the door handle of the burning vehicle as firefighters from the Morningside Volunteer Fire Department arrived. Volunteer Fire Fighter Daniel "DJ" Collins, wearing his personal protective gear, moved quickly and because of the police officers being able to open the door, was able to reach into a fairly well involved fire to grab the victim and pull him out as other crew members used extinguishers to knock down the fire while the rescue was being made. Paramedics transported the adult male victim to a Burn Unit with serious burn injuries. Had it not been for the rapid response and teamwork of police and firefighters and without a second to spare, the burn injuries were minimized and the victim is expected to survive. It was quite a surprise today when a healthy Larry Dunmore, of Suitland, walked into the Morningside Volunteer Fire Department on Suitland Road seeking to speak with DJ. They met for the first time and spoke of the rescue, how the fire, EMS and police worked together, the month and a half at the Burn Unit and many thanks being bestowed to the firefighters at the station. Dunmore said to Collins, "You gave me a second chance at life." Dunmore provided Volunteer Fire Fighter Collins with several momentous and exchanged phone numbers. Collins explained the meeting as, "A good thing, we don't often see or hear of the outcome of most of our patients, it feels good to know we made a difference."